- The formula with Mineral Complex enhances the hair for a visible, lasting volume effect. I have normally very flat hair (I have no layers), and was looking for styling products to put more volume in my hair. 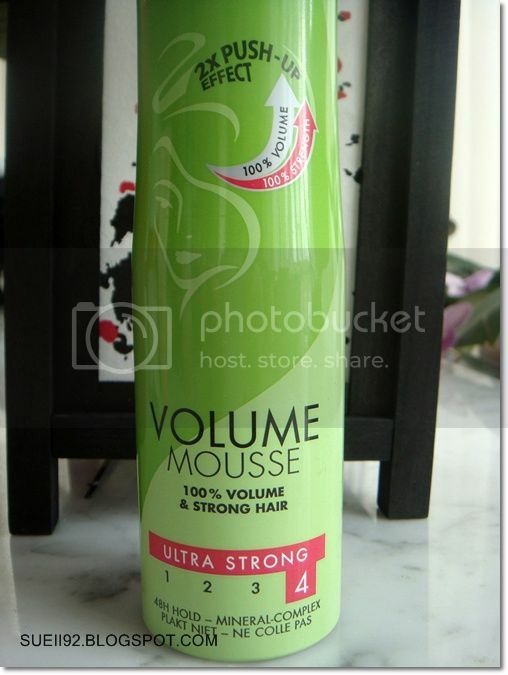 I've tried hairspray, and the Syos Volume Mousse, but it didn't do as much as I wanted. I randomly picked the Taft one up together with their volume powder and I really love this mouse. I apply it on my wet hair and blow dry it with my head upside down. Even without layered hair I get voluminous hair after the blow dry! After the blow dry I don't feel anything at all about the mousse: no stickiness or whatsoever. 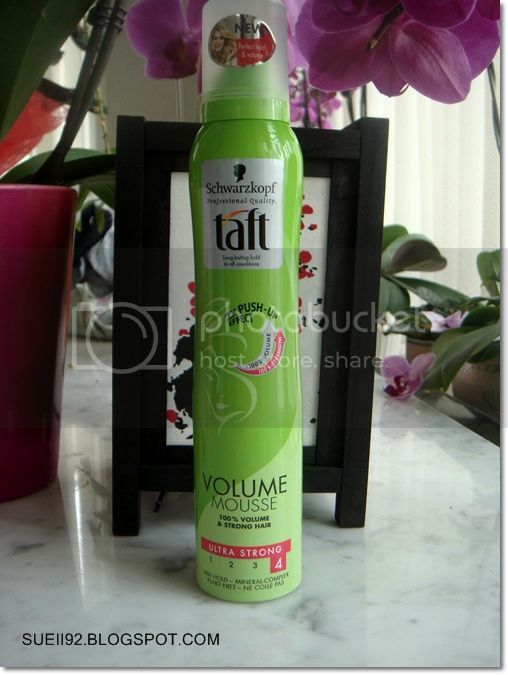 It feels very airy, and I haven't had such a voluminous hair after a simply mousse and blow dry ever! It's also a big plus with the thermo protection in it. Overall, super impressed! It gives me a lot of volume, and I believe after my haircut (I want to cut it in layers) I will get even more volume in my hair. It lasts and feels airy for the whole day. Definitely going to repurchase it. Do you have other good hairstyling products for me to try? Let me know!